James Dunne has joined Dagenham & Redbridge on loan. The midfielder has linked up with the League Two basement side on a month’s emergency loan. 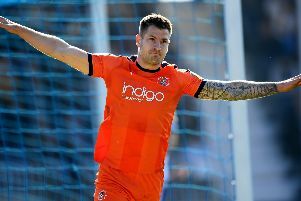 A host of League Two sides have shown an interest in bringing in the 26-year-old, with Dunne out of favour under Paul Cook. Dunne has made just a single appearance for Pompey so far this season, coming off the bench for 11 minutes against Reading in the Capital One Cup in August.